The Gazette, the student newspaper at the University of Western Ontario (or Western University, or whatever the hell they're calling themselves these days) will be undergoing a "strategic review" conducted by the University Students' Council, Western's student union. For once, the Gazette will not be the one reviewing the University Students’ Council. Last Wednesday, council voted to undertake a strategic review of the paper. 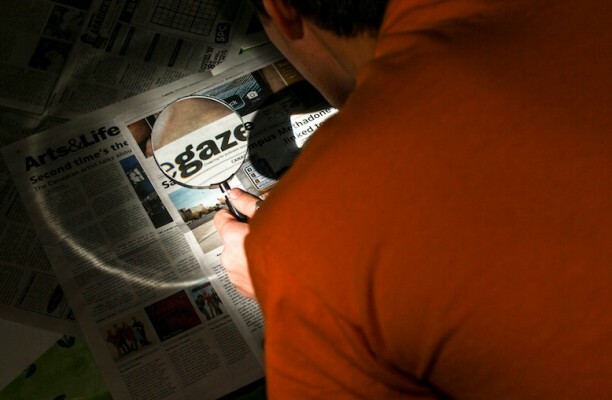 According to the USC standards, the Gazette is long overdue for an assessment. The review will look at the organization and operation of the Gazette, which is Canada’s only daily student newspaper and is paid for by a student fee of $15.39 per student, as well as by advertising revenue. According to Santucci, the review will be conducted by a committee chosen by himself, and the editor-in-chief of the Gazette, Gloria Dickie. If the two cannot agree on members, the decision will go to council. “I think the concerns of the USC will mirror those facing print media overall,” she continued. The motion received overwhelming support from council, passing unanimously. Nicole Cheese, president of the Arts and Humanities Student Council, echoed the sentiment the Gazette was overdue for a review. However, Pat Whelan, student senator-at-large, said the motion for the review did not offer enough details. “I think any review needs to have some sort of process and deadline included in it,” Whelan said. “The motion talked about the composition of the committee, but not necessarily when they would be presenting back.” He did, however, agree to the need for a review of the paper. Santucci said he hopes to have a committee together in time for a presentation to council for next semester. It's also the only very large paper left that is not fully autonomous from the student union, as demonstrated by this strategic review. It will certainly be interesting to see if anything comes of this review, but everything seems to suggest that the student union and The Gazette are on fairly good terms. Just want to provide some clarification. I work at the Gazette, and while we receive a big chunk of our funding from the USC, it is written into their bylaws that we have editorial autonomy. They publish the Gazette (and thus have the right to review our finances, as they do every few years), but have no say over content whatsoever.